After almost 36 years as a police officer, Sir Paul retired from the service in July 2011, having held senior command positions in Merseyside, Lancashire and London. During his tenure as Chief Constable of Lancashire he was the national Chairman of the Association of Chief Police Officers Crime Committee. His time in Lancashire saw the organisation being rated as one of the leading forces in England and Wales and during his period as Deputy Commissioner and Commissioner of the Metropolitan Police Service (MPS) he presided over real falls in key crimes whilst effecting significant service cost reductions. As one of the most experienced police leaders in the country and senior UK police officer as the Commissioner of the MPS, he has advised UK governments on issues ranging from counter terrorism to serious organised crime and national police improvements. Sir Paul has served as Trustee for a number of charities, including currently Crimestoppers UK. He now divides his time between a small number of consultancy and executive directorship roles, along with country sports and family pursuits. 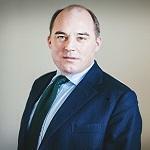 Ben Wallace was appointed Minister of State for Security at the Home Office on 17 July 2016. He was elected the Conservative MP for Wyre and Preston North in May 2010. Ben attended the Royal Military Academy, Sandhurst and Millfield School in Somerset. Ben first entered politics as a Member of the Scottish Parliament in 1999. Following a move to Lancashire, he was elected to the UK House of Parliament in 2005. In 2010 Ben was elected as MP for the newly-created constituency of Wyre and Preston North. He has held a number of posts both in opposition and government, including Shadow Minister for Scotland and Parliamentary Private Secretary to The Rt Hon Kenneth Clarke CH QC MP, at the Ministry of Justice and Cabinet Office. In July 2014, Ben Wallace was appointed as a government whip. He previously served as Parliamentary Under Secretary of State at the Northern Ireland Office from May 2015 until July 2016. In 2008, he was awarded ‘Campaigner of the Year’ by The Spectator after leading calls for improved transparency and the reform of parliamentary expenses. Ben and his family live in Lancashire. He enjoys rugby, skiing, motor sports and horse racing. Neil Basu is the Assistant Commissioner for Specialist Operations (ACSO) in the Metropolitan Police Service (MPS) and the senior officer in charge of Counter Terrorism (CT) policing in the UK; a position he has held since March 2018. Prior to this he was the UK Senior National Co-ordinator for Counter Terrorism and led on the policing contribution to the Government’s CONTEST strategy for Pursue and Prevent. Whilst in this role he has led the national policing response to the five terrorist attacks and the fourteen disrupted attack plots since March 2017. Neil has been at the forefront of Counter Terrorism policing during an unprecedented shift in threat and has been instrumental in strengthening police capability, an increasing join-up with community policing, closer working with intelligence partners and an increase in preventative interventions to counter radicalisation. As ACSO, he represents CT Policing in its engagement with Government on operational and policy issues associated with tackling terrorism, espionage and proliferation. This portfolio also includes responsibility for the investigation of War Crime, Official Secrets Act offences and protection of VIPs, Royals, Embassies and Parliament. UK Independent Reviewer of Terrorism Legislation. Commenced 1st March 2017. Responsible for reviewing the Terrorism Acts and associated legislation, reporting annually to Parliament. This is a significant but part-time position; independence is underlined by the fact that there is no contract of employment. The Independent Reviewer remains a self-employed QC and barrister. Current Head of Red Lion Chambers; Leader of the South Eastern Circuit of the Bar 2014 – December 2016. Chairman of the Kalisher Trust. Bencher of Middle Temple. Former Chairman of the Criminal Bar Association. Called 1987, appointed Recorder 2004, Queen's Counsel 2008. Chief Superintendent Nik Adams is the National Co-ordinator for Prevent within National Counter Terrorism Policing HQ. Prior to taking up this role Nik spent 2 years as the Regional Co-ordinator for Prevent, Protect and Prepare within Counter Terrorism Policing North East. Nik has been a police officer for 17 years and has dedicated much of his service to Neighbourhood Policing. He was the lead for Neighbourhood and Operational policing in Leeds City Centre and South Leeds before his move into Counter Terrorism policing where he was instrumental in introducing multi-agency neighbourhood hubs into his communities to improve collaboration across public services. Nik also developed the Mental Health street triage service across Leeds and embedded Mental Nurses within Police Control rooms to reduce demand on policing and improve service for patients. Nik’s passion to support families extends into his spare time as Chair of Governors of a large inner city school in Leeds, a role he has held for the past 8 years. In these times of heightened threat from extremism and terrorism, Nik believes passionately that ever closer working between different agencies, strong relationships and partnerships with communities, are key to our success in defeating terrorism. Mike is the Head of Operations for the National Cyber Crime Unit (NCCU), part of the National Crime Agency, responsible for leading the UK’s Law Enforcement response to cyber crime. The NCCU has around 250 officers based at 4 sites , with a range of investigation, intelligence, technical, digital forensics, data analysis and financial investigation skills. Mike is responsible for leading the highest level and most complex investigations into cyber crime in the UK, utilising support from across UK & international law enforcement agencies, other UK Government departments and a range of industry partners. NCCU Operations also coordinate and support cyber crime investigations undertaken by police Regional Organised Crime Units (ROCUs) and local police forces across the UK. The majority of Mike’s career has been spent leading serious organised crime investigations across a variety of sectors including drugs, firearms, money laundering, corruption, kidnap, organised immigration crime and now cyber crime. Mike holds a Master’s degree in criminology from the University of Cambridge, and lives in the home counties with his wife and two young children. 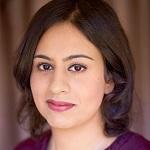 Sara Khan was appointed by the Home Secretary to lead the Commission for Countering Extremism (CCE) in January 2018. The Lead Commissioner for Countering Extremism is independent of government. Before her appointment she was director of Inspire, an organisation she co-founded in 2008 to challenge gender inequality and Islamist extremism. In 2016 she co-authored the book ‘The Battle for British Islam: Reclaiming Muslim Identity from Extremism’. In 2002 she graduated from the University of Manchester with a master’s degree in Pharmacy and went on to complete her MA in Understanding and Securing Human Rights at the Institute of Commonwealth Studies, University of London in 2006.